is the specialized central body of public administration authorized to promote and implement the foreign policy of the State. The Ministry of Foreign Affairs and European Integration (MFAEI) is the specialized central body of public administration authorized to promote and implement the foreign policy of the State. The internal Regulations of the Ministry that were approved through the Governmental Decision no. 1156 of 4 November 2005 regulate its activity. 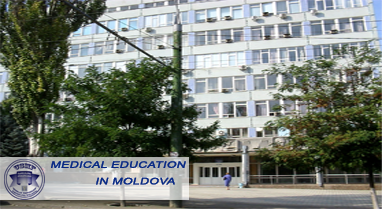 The Central Apparatus of the Ministry, its consular bureaus, diplomatic missions, representative offices and missions to international organisations as well as the staff thereof all together constitute the Diplomatic Service of the Republic of Moldova. The Law on Diplomatic Service governs the basic objectives and operations of the Diplomatic Service. The Ministry of Foreign Affairs and European Integration is carrying out a broad activity aiming at ensuring favourable conditions to fully implement the following national interests of the Republic of Moldova externally: to integrate into the European Union, to strengthen the cooperation with international and regional organisations, to promote its economic interests, to ensure a favourable external environment and the international support necessary to implement the economic, social and political reforms in Moldova, to settle the conflict in Transnistria, to protect the interests of Moldovan citizens abroad and to build up the positive image of the Republic of Moldova on the international arena. Amongst the most valuable achievements of the Moldovan diplomacy in the area of European Integration are the deepening of the bilateral dialogue with the EU within the European Neighbourhood Policy; the signing of the European Union – Republic of Moldova Action Plan in Brussels on 22 February 2005; the establishment of the Mission of the Republic of Moldova to the European Community (in May 2005); the creation of the Office of the Delegation of the European Commission to the Republic of Moldova (in October 2005); the appointment of a Special EU Representative to the Republic of Moldova and the enlargement of the (“five plus two side”) format for carrying out of negotiations for the settlement of the conflict in Transnistria with the inclusion of the EU and the USA; the obtaining of facilities for the GSP+ system for the export of Moldovan products to the EU market; the continuation of the dialogue with the European Commission for obtaining the EU Autonomous Trade Preferences according to a similar offering model for Western Balkans states etc. At the initiative of the MFAEI, a series of important actions have been implemented aiming at extending the dialogue with the EU in the energetic sector, including at integrating the Republic of Moldova into the unified energetic market of the South Eastern Europe. Following these actions the Republic of Moldova was granted the status of the observer of the Europe Energy Community Treaty. At the same time the MFAEI addressed the European Commission expressing the interest of our country to launch the dialogue about the signing of the Memorandum of Cooperation in the energetic sector between Moldova and EU, which would outline the specific measures to be undertaken to ensure an active involvement into the actions specified in the Europe Energy Community Treaty and to obtain the full-right membership. The cooperation between the Republic of Moldova and the UN and its specialized agencies is also an important area of MAEIE activity. Thanks to political initiatives launched by the MAEIE and coordinated by line ministries a series of positive decisions have been taken by FAO and the International Labour Organisation, respectively, on the establishment of their offices in Chisinau and the appointment of their national coordinators. Both actions aimed at maintaining or increasing the amount of the assistance offered to our country in agricultural and labour areas, respectively. Internally, support was provided to conduct the mid-term assessment of the 2002-2006 UNICEF-Moldovan Government Cooperation Programme and to initiate a new Programme Cycle to provide assistance to the Republic of Moldova by the specialized UN agencies during 2007–2011 and to develop in this regard the Common Country Assessment Paper (CCA) and the United Nations Development Assistance Framework (UNDAF) Paper, respectively. The Republic of Moldova was elected into the FAO Committee for Agriculture and respectively into the UNESCO Legal Committee. Moldova was also appointed for one-year term the Deputy Chairman of the UN Committee for Social Development. Actions to promote the candidates of our country into the UN elective bodies and its Secretariats were further taken. An important dimension in the activity of the Ministry and its diplomatic missions is the extension of the presence of our country within the international organisations, as well as the initiatives, processes and regional cooperation structures as CE, CEI, OSCE, SPSEE and OBSEC. 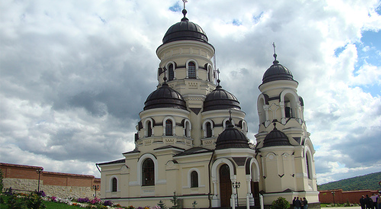 Another success of the Moldovan Diplomacy in the area of regional cooperation is the fact that the Republic of Moldova was granted the full-right membership in the Cooperation Process in the South Eastern Europe (in Thessaloniki, Greece, on 3 May 2006). Another significant event in the expanding the presence of the Republic of Moldova on the international arena was the exercising of the GUAM Chairman mandate, taken over by rotation, during April 2005 – May 2006. During this time the Republic of Moldova managed to push forward the development of the organisation according to a new quality level. Thanks to diligent activities of all the GUAM members, it became a Regional International Organisation. The Secretariat of the organisation was set up. All member-states endorsed the GUAM constitutive documents. While exercising its mandate, the Republic of Moldova organised the first Meeting of the Secretaries of National Councils for Security and of Secret Services, it also proposed to carry out in Chisinau the Meeting of Deputy Ministers of Internal Affairs and to sign the Common Agreement of GUAM member states on Witness Protection Programme. A special attention was paid to new areas of cooperation. Therefore, the second Summit of the GUAM Youth was organised in Chisinau. Within its frameworks the „Forum of Youth from GUAM States” International Organisation was established with the head office in Chisinau. Also throughout the mandate a first Meeting of GUAM Parliamentary Assembly was organised and carried out. 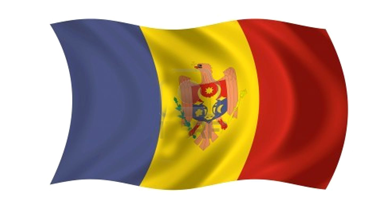 A substantial chapter of the MFAEI activity was the promotion of multi-lateral relationships within the Community of Independent States as the CIS market continues to be one of the main factors of the economic development of the Republic of Moldova. The regional security issue in general and the specific issues related to the settlement of the consequences of the conflict in Transnistria have a considerable share in the MAEIE activity. In this regard diplomatic dialogue continues for the identification of a peaceful solution to the Transnistrian issue and for the withdrawal of the Russian troops and munitions from the territory of the Republic of Moldova. The Moldovan Diplomacy managed to obtain the inclusion of the basic objective of the negotiations on the settlement of the Transnistrian issue – to develop the status of the region on the basis of respect of sovereignty and territory integrity of the Republic of Moldova- into the pertinent international papers, in particular the ones adopted within OSCE. Also other specific steps made by MFAEI within the context of ensuring the international monitoring of the situation in the security zone were the changing of the format for carrying out negotiations and the initiative to make secure the Moldovan-Ukrainian boarder on the Transniestrian sector. Positive developments were registered in the relationship between the Republic of Moldova and the North Atlantic Alliance. A new quality level of this relationship was defined in the Republic of Moldova – NATO Individual Plan of Action for Partnership (IPAP), which implementation will help to strengthen the political dialogue and to deepen the cooperation between the Republic of Moldova and the ally- and partner-states and will ensure the modernisation and the reforming of the national security and defence sector. In compliance with the provisions of the Governance Programme, the Ministry of Foreign Affairs and European Integration, through its diplomatic missions, within the frameworks of bilateral and multi-lateral visits is persistently promoting the economic interests of the Republic of Moldova, identifying new ways for promoting the external trade, for decreasing the deficit in the balance of trade and for attracting investments into the national economy. The Ministry provided the necessary assistance to carry out negotiations and sign bilateral agreements on economic and trade cooperation; to avoid double taxation and mutual protection of investments. Activities for raising the awareness of foreign partners continued for the provision of the financial and technical support necessary for carrying out the reforms in the national economy. 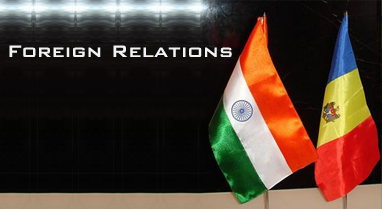 Bilateral relationships have a pragmatic and rising trend. Taking into account the fact that Integration into the European Union is the absolute priority of the external policy of the Republic of Moldova, it is obvious that the bilateral relationships with EU member-states (Germany, France, Italy, Holland, Great Britain, Poland, Baltic States, Czech Republic, Slovenia etc.) have a special position in its diplomatic activity. Also the trend in the international and regional situation has defined a strengthening of bilateral relationship with the USA. Creation of a new quality model of bilateral Moldovan-Russian relationship, based on the principles of equality and respect for sovereign rights of the Republic of Moldova became a crucial point of its foreign policy. A special attention is paid to deepening and diversifying the relationships with neighbour states – Romania and Ukraine; the relationships with Turkey, China and Japan were strengthened. The bilateral diplomatic activity resulted in the establishment of new diplomatic and economic and trade relationships as well as in the extension of the existing ones through signing certain cooperation agreements in the political, economical, financial and humanitarian areas. During 2001–2006, 438 treaties were concluded of which: 26 with Russian Federation; 26 with Romania; 42 with Ukraine; 4 with Germany and 13 with Italy etc. With regard to protecting the interests of our citizens abroad, the MFAEI activity is focusing on providing consular assistance, completing the legal framework in the consular area and on the alignment of consular normative acts to the international legislation. Within the context of aligning the Moldovan legal framework to the EU one, MFAEI has supported the examination and the provision of advisory opinions for the drafts of the agreements with EU member-states (Hungary, Slovakia, Czech Republic, Estonia and Latvia) on mutual travel of citizens. The initial phase of the internal procedures for concluding certain agreements on mutual travel has been finalized. The signing of these agreements is dependent on the decision to be made at the level of EU leadership. The first round of negotiations with the European Commission experts on the possibilities to facilitate the visa issuance procedure for Moldovan citizens took place in Brussels on 7 June 2006. At that meeting the last developments of the EU-Moldova Action Plan implementation were presented in the area of combating the human trafficking and the organized crime, the illegal migration, the security of national travel papers and other aspects related to visa issue. During the discussion, the Moldovan delegation reiterated its request for the support from the European Commission and its member-states to be granted by the EU the mandate to continue the negotiations on agreements to facilitate visa issuance procedures and the Republic of Moldova – European Union readmission during 2006. Also the delegation informed the European officials in detail on the difficulties faced by Moldovan citizens in the issuance of Schengen visas. The initiated dialogue continued during the working visit of the President of the Republic of Moldova to the European Union (during 21–22 June 2006). Within the framework of the discussions the EU representatives reiterated the availability of the European Union to support the Republic of Moldova in the visa-related issues, especially through the creation in Moldova, as a pilot project, of the Common Schengen Visa Issuance Centre, in charge of all the countries that are parties to the Agreement. As to the cultural dimension of the foreign policy to be mentioned the active involvement of the representatives of the Diplomatic Service in different important events aimed at promoting the image of the country, its cultural and artistic values and at establishing the cooperation contacts in the cultural area. 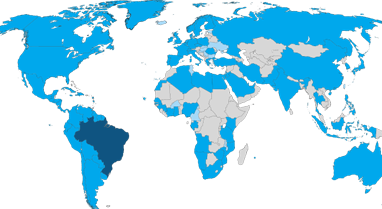 Cultural contacts were facilitated worldwide. The MFAEI and its diplomatic missions provided the necessary assistance for the participation of our country representatives in international exhibitions, fairs, symposiums and for the informing about the scientific achievements and tourist patrimony. A special attention was paid to deepening the cooperation relationships with UNESCO, International Francophone Organisation and the Latin Union.